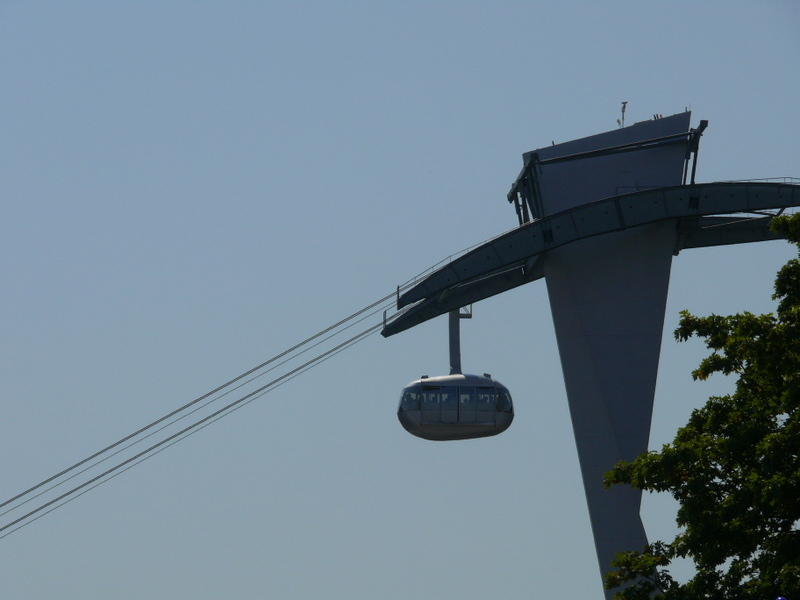 Since i took some photos of bridges from this tramway, i was thinking about including coverage of the Portland Aerial Tram in my photo essay on Portland’s Bridges, but since it’s not a bridge, my passion for accuracy dictated that i just do a blog post on it. See, the thing’s so fascinating, i had to cover it somehow. I did no homework in anticipation of my trip to Portland, so i didn’t know of its existence until i was down on the waterfront on my first day and exclaimed, “What is that?” to one of the delightful local mentors i collected. She brought me up to speed, mentioning that i could ride on it and that the locals call it “The Zip Line”, so of course i went over to the waterfront terminus. Here’s a look into the mouth of the lower terminal. And yes, Portland is very bicycle friendly. 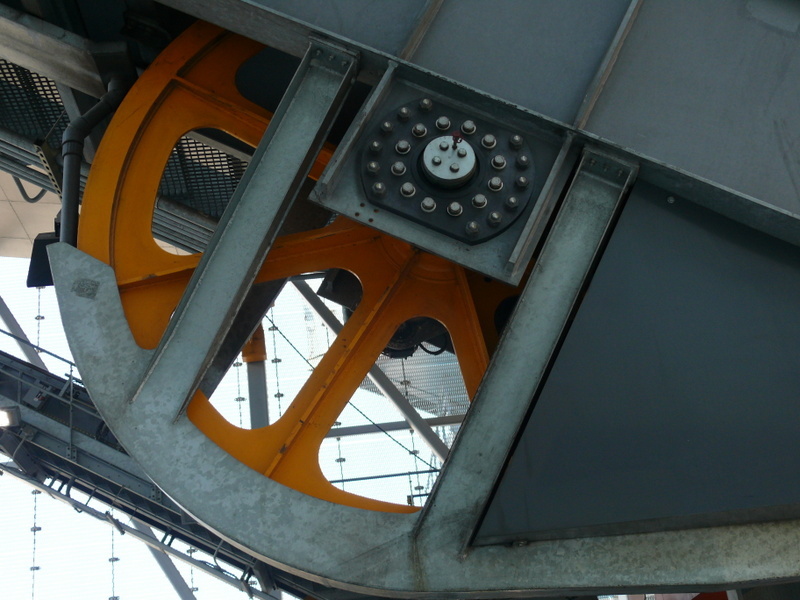 Here’s the main drive wheel. And a car approaching the central support tower. 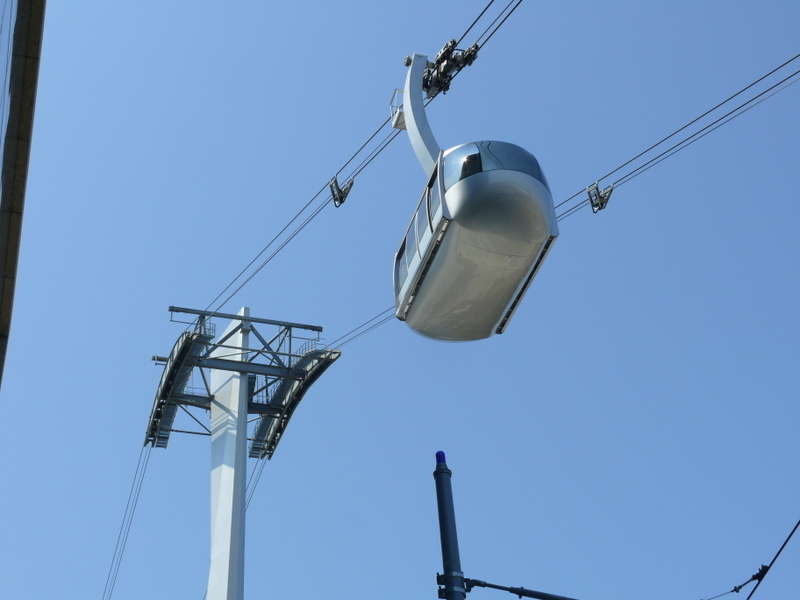 There’s a thrilling lurch as you go off the support and back onto the wires. If you listen closely, you can hear the wires fraying. 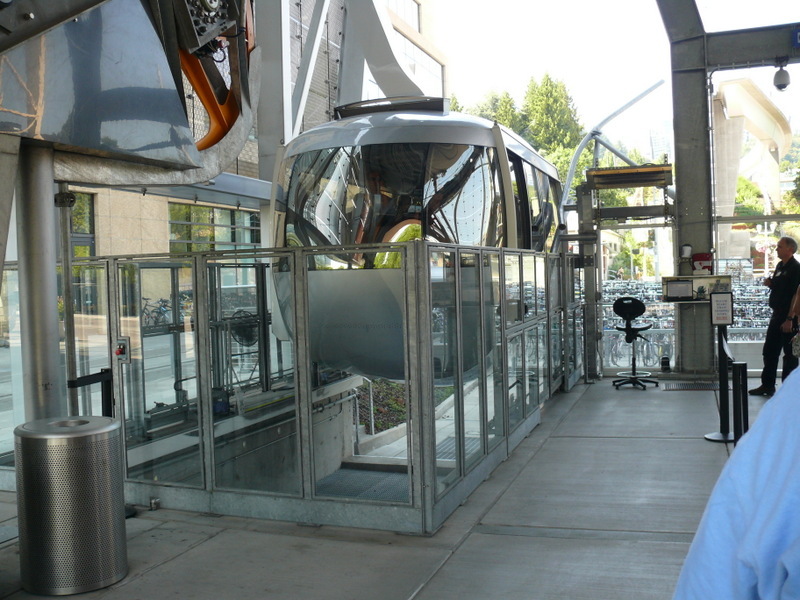 Oh, and riding the thing is great fun, provides wonderful views of the waterfront, and is well worth the modest admission charge. 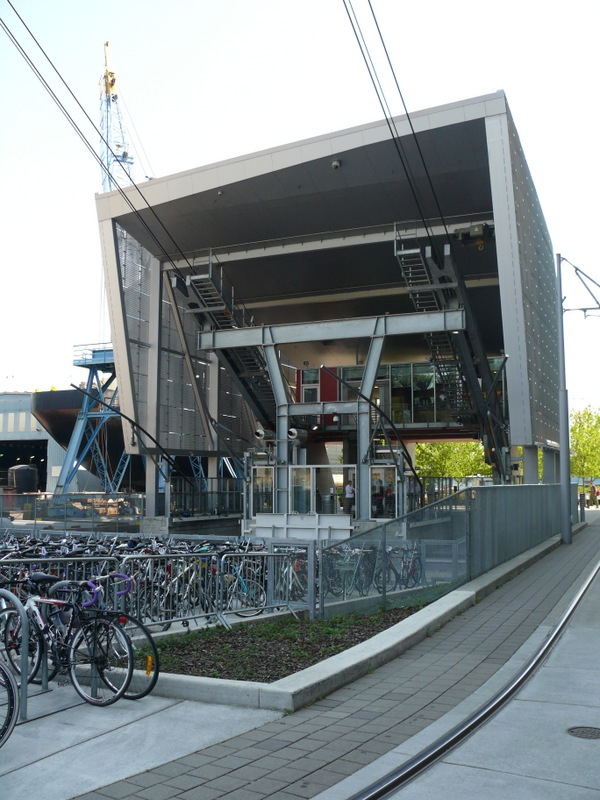 Actually, it also serves a very practical purpose, connecting two parts of the medical school, whose students and staff get to ride free.